Travelling with your celebrity-chef parents can lead to all kinds of adventures. 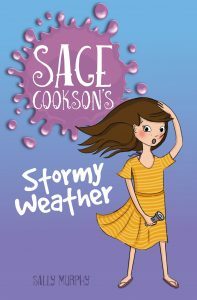 Meet Sage Cookson. She’s just an ordinary kid. : but her parents are television chefs. They travel the country – and sometimes the world – seeking out the best food for their show, The Cooksons Cook On. 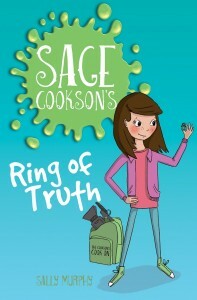 Sage loves travelling, but it seems that wherever she and her parents go, there is always adventure. Sometimes a little bit too much adventure. Sage has her own website. 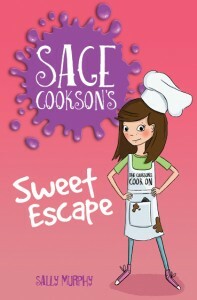 You can visit her online at www.sagecookson.com.au where you will find details of all the books, plus recipes, activities and more. See you there! Sage and her parents visit a chocolatier to film a segment for their TV show. Things go drastically wrong when the competitive spirit gets the better of the chocolatier. Eva at The Multitasking Woman says “If you’re a parent of a budding chef or Masterchef fan, this is the perfect book with food being the central theme.” You can read the rest of her review here. Pat at Readplus says ” with its short chapters, interesting characters and touch of suspense, will have its readers eagerly waiting for the next installment.” You can read the rest of her review here. 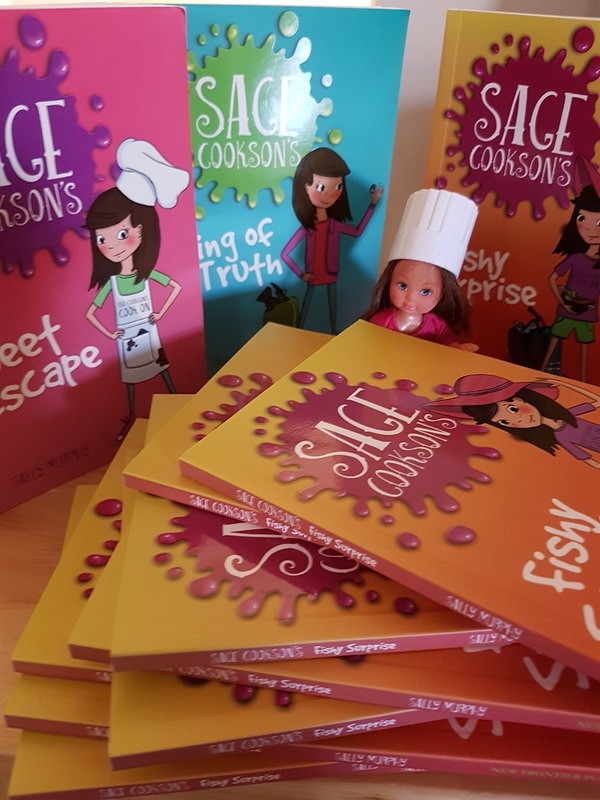 And Claire, from Aussiereviews says that Sage, “offers bite-sized adventures recommended for independent readers”. You can read her review here. Zac, from new Zealand website Best Friends are Books says “These books are perfect for early readers who are growing in confidence or for slightly older children who want a quick read.” You can read the rest of his review here. Romi at Boomerang Books says: “Infused with zest and a sense of refreshment, Ring of Truth satisfies its readers with honesty, passion and aplomb. This series is a treat for all chefs in the making from age seven.” You can read the rest of the review here. And Claire, from Aussiereviews says: “Good food. Great fun: interesting settings and some sleuthing.” You can read the full review here. 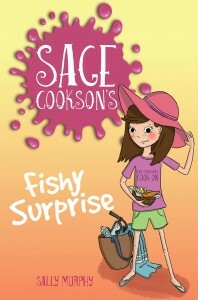 Sage and her friend Lucy are off to the beach, where the Cooksons will film a new episode. But there’s something fishy going on. Literally. Available now from all good bookstores and online. Sage and her parents fly to Perth to film chef Myra making the largest ever pavlova for Christmas. But a ghostly presence threatens to interfere with Myra’s plans. 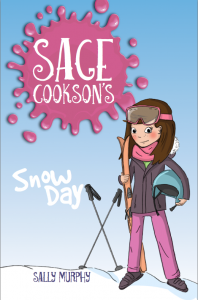 Sage and her family are off to the snow, and she has promised that she will stay out of danger. But when her friend Kyle goes missing, it looks like adventure has come to find her once again.